Regarded as one of the most beautiful of upright pianos, the Bösendorfer 120 CL is constructed under the same principles as its larger brother, the 130 CL. Regarded as one of the most beautiful of upright pianos, the Bösendorfer 120 CL is constructed under the same principles as its larger brother, the 130 CL. 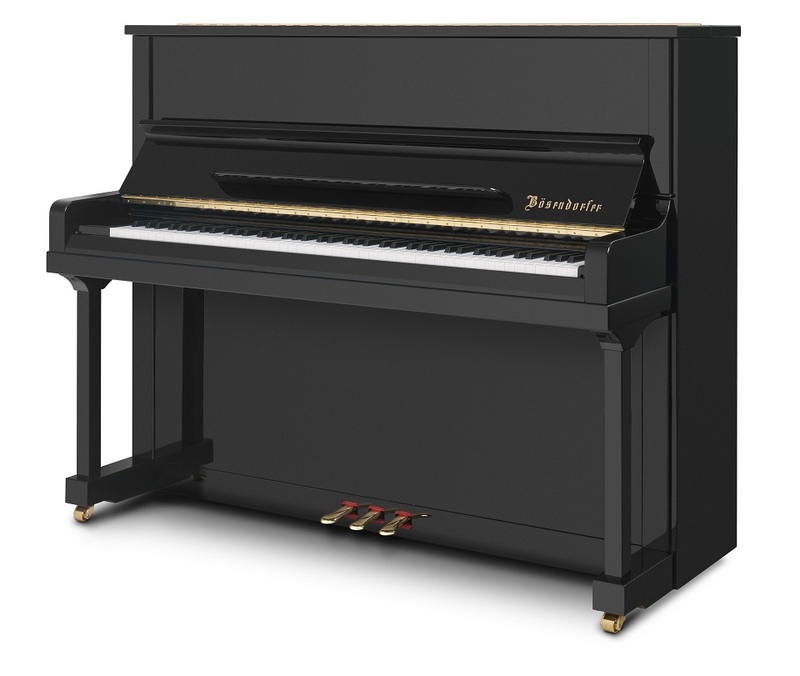 The 120 CL shares the same console design and high-quality construction while being the most affordable and compact Bösendorfer piano. Hand made by expert craftsmen using grand piano grade materials, this piano is made to the highest standards and will appeal to highly demanding pianists. With five back posts made from Austrian spruce, this piano retains optimum stability and sound resonance, and the Austrian spruce soundboard delivers a beautiful singing tone. The 120 CL exhibits a dynamically open sonic character and yet retains the typical and unmistakable ‘Bösendorfer sound’ that is distinguished by its richness of colours and its warmth. A long key length gives a superb responsiveness of touch in the most demanding of pieces. For those requiring silent practice facilities, the 120 CL is also available with Yamaha’s SH Silent system fitted, to allow for private practice using headphones. The 120 CL ‘Silent’ can also be used with a range of practice and performance apps to further expand your musical potential.